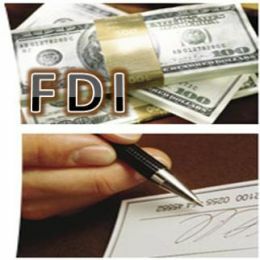 The government has finally notified 100 per cent foreign direct investment (FDI) in single brand retail. Currently, only 51 per cent FDI is allowed in single brand retail. The notification was issued soon after the Foreign Investment Promotion Board (FIPB) cleared French retailer Christian Louboutin's proposal to set up retail chains in the country. The 100 per cent ownership of single brand is likely to attract brands including Swedish firm IKEA dealing in furnishing products which has shown keen interest in setting up shops in India with full ownership. On November 24 last year, the government had allowed 100 per cent FDI in single brand retail and 51 per cent FDI in multi-brand retail. However after political uproar opening up of multi-brand retail was put on hold. The development can also be viewed as a signal on multi-brand retail opening in the near future. Though, the government might not buzz, at least till after the elections in five states.